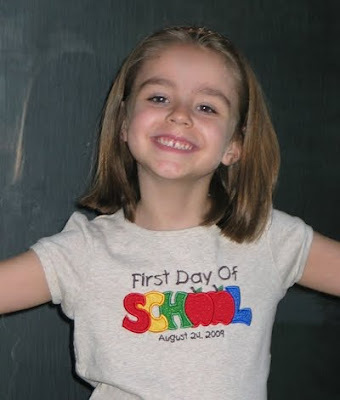 Today is Annaliese's first day of Kindergarten! 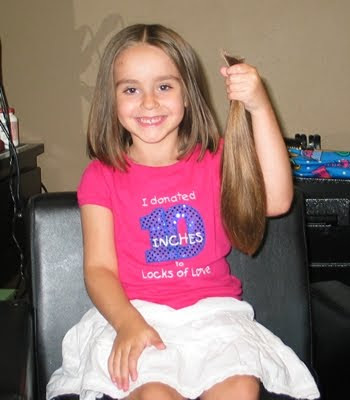 She is so excited!! 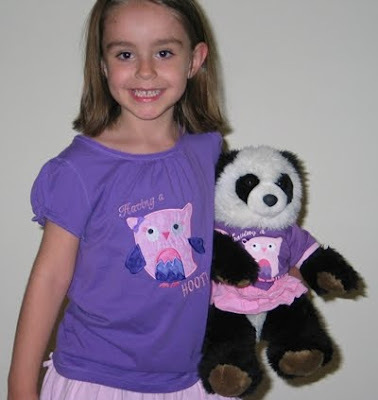 Back in the fall when I bought the designs for Annaliese's NOEL shirt and FARM shirt from Sew Many Designs, I also bought this SCHOOL design. Kathy helped me out by digitizing the rest of the text using the font First Grader. I picked a light brown heather shirt from my stash and brown thread to match a skirt she already had. Now I'm off to boo-hoo with some friends. I knew it was the one. 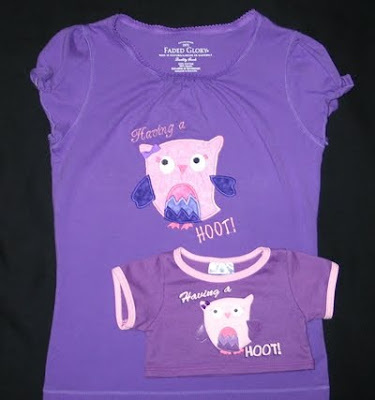 Cute because it was pink and purple, and it would be a great back-to-school outfit for April because it has an owl on it (Annaliese's school mascot). 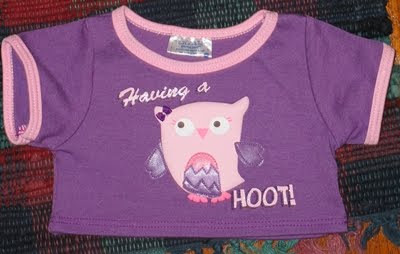 I also enthusiastically told her I already had a purple shirt and a new owl design so I could make her a matching shirt. That cinched it! 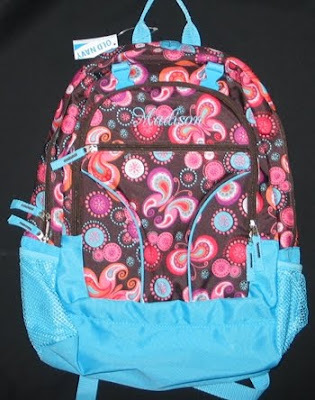 We got the shirt, a matching pink corduroy skirt, back pack and tennis shoes. ... but I wasn't. 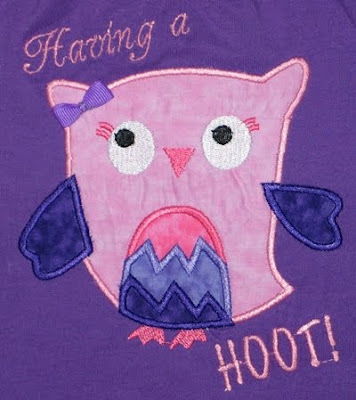 I decided to go all out and try to match it as exactly as I could by digitizing my own applique owl! I did it all myself! (Except for the feet -- I realized this morning that I forgot to do those and knew Annaliese would point out they were missing, so I borrowed them from another owl design.) I finished digitizing it last night, and this morning I bought a new shirt that was a closer match than the lavender one. Are you still with me? Ready to see??? This is the most complicated applique design I've digitized so far, and overall I'm pretty pleased. 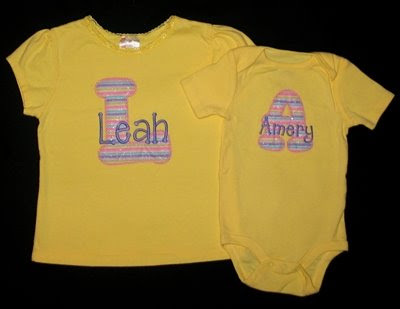 On this shirt I'm most disappointed with the lettering... I don't know why the text at the top didn't turn out as nicely as usual. Oh well. I used Embird Alphabets #38 and #8. 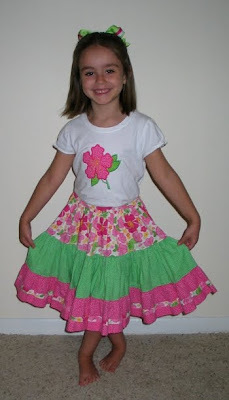 Annaliese's pink skirt: under $3 on clearance last year. Hmmmmm... does that seem right to you?? 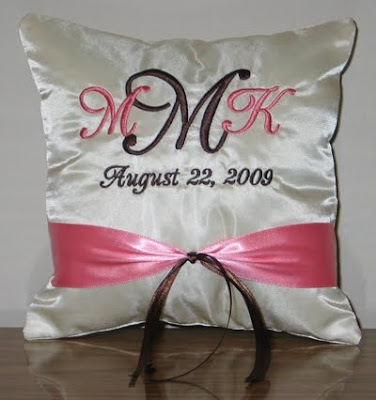 Melanie asked me to make a ring bearer pillow and monogram flower girl baskets for the wedding of a family friend. The colors are salmon and brown, and this is what we came up with. I used Embird Alphabet #38 for all the text. 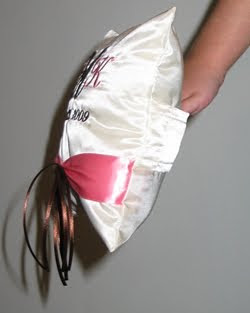 I made the pillow out of taffeta, adding satin ribbon. 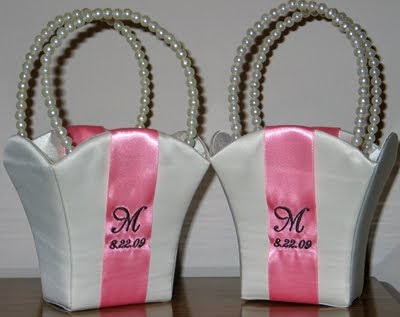 The flower girl baskets were purchased at Michaels. I did the embroidery on satin ribbon and attached it to the baskets. I hope the bride was pleased! 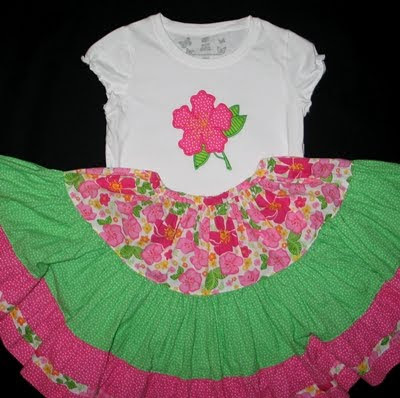 Last summer my mom wanted to make a twirl dress for Annaliese. She found a cute sundress at Walmart, chopped the bottom off and added two really full ruffles of purchased material to the bottom. Annaliese LOVED it. Annaliese has grown like crazy since last year and the dress was too short. Plenty big around, but the bodice was too high and the bottom of the dress was above her knee. So I decided to chop off the bodice, create a waistband and make it a skirt. Now it hangs below her knee and she can continue to enjoy it. Of course she needed a coordinating shirt, so I asked Mom to send me scraps from the ruffle material and I appliqued a flower. 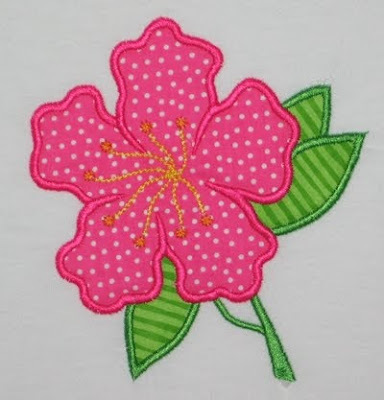 The flower design is from the Bloomin' Applique set from Designs by JuJu. Here's my pretty girl, all ready for kindergarten orientation! 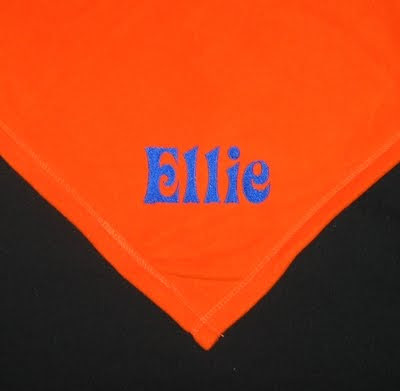 Susie and Lisa requested that I monogram this blanket for Ellie, who is starting her freshman year at UF. I used the Elle alphabet from 8 Paws and a Claw. 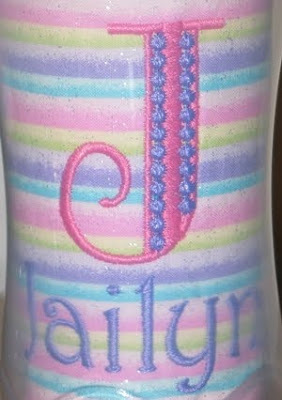 Melanie requested matching cups for her daughters. 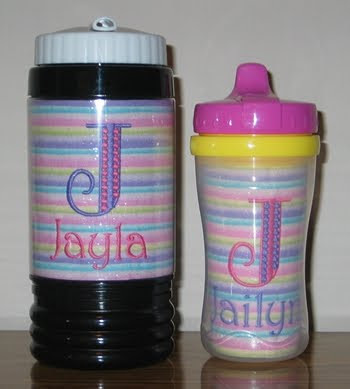 Jailyn got a Playtex sippy cup and Jayla got a water bottle. 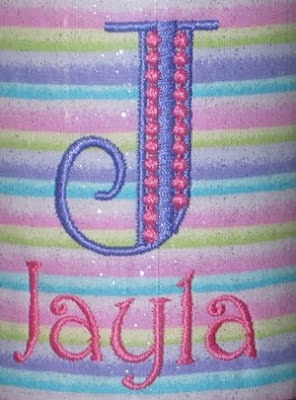 The "J" is Deco Alphabet from Designed by Jane and their names are stitched with Harrington from 8 Paws and a Claw. 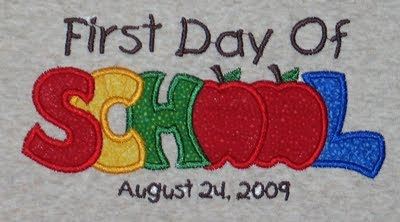 When Daisha updated their family blog with pictures of JR's first day of school, I realized I had never posted a picture of the patch I had stitched for her. If you'd like to know more about the statement, check out JR's blog, Keep Thou My Feet, I'm not getting into a theological debate here. :) Although I will say that Annaliese kept asking me what it said and what it meant -- she just didn't get it. Daisha and I both reassured her that JR loves Jesus. You know, it's like the song, "Oh, how I love Jesus, because he first loved me!" I stitched her three-letter monogram with Action Font from 8 Paws and a Claw. 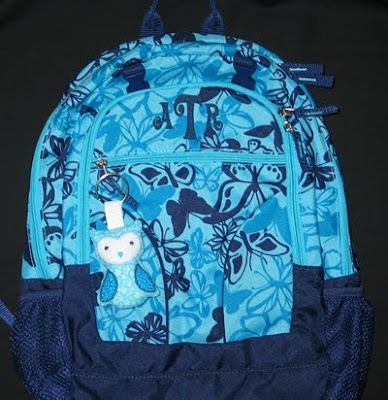 Her elementary school's mascot is an owl and their school colors are aqua and white, so I stitched out this little softy for her to attach to her back pack. 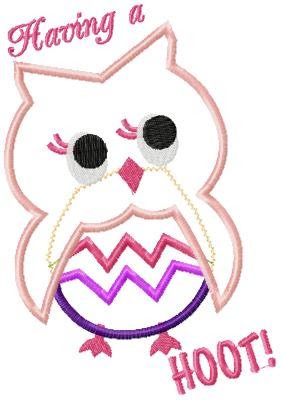 Whooty is from DigiStitches and comes in various sizes. I stitched the smallest; this picture should show it's actual size. Now Annaliese wants a bigger one to sleep with! 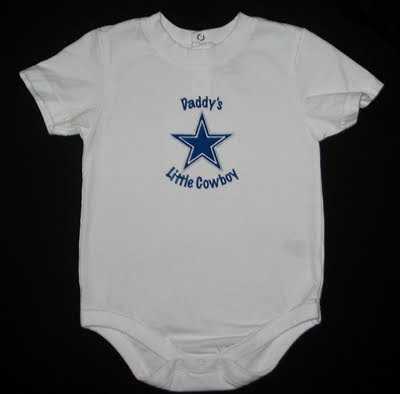 Maybe a "night before Kindergarten" gift, if I can get my act together. 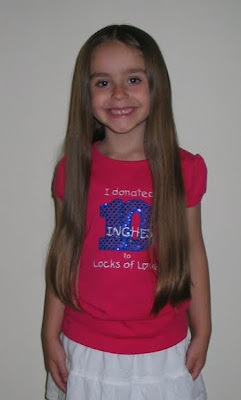 Today my daughter got her long hair cut off for the first time, and donated it to Locks of Love. I stitched this shirt for her to commemorate the event! 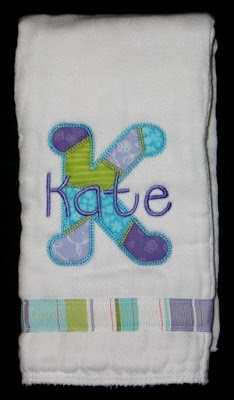 The applique numbers are from GG Designs' Chubby Wubby Applique Numbers. 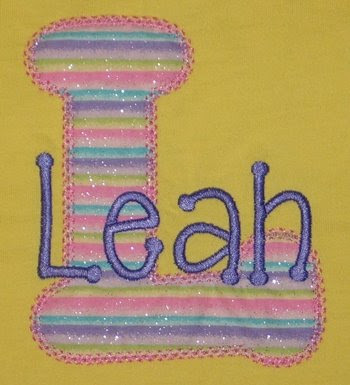 I love this sequins material -- isn't it neat?!? 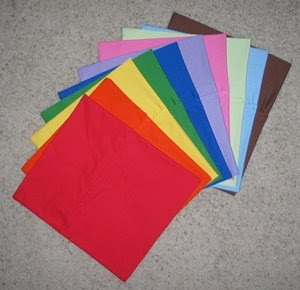 (Thanks to Kathy, I have it in about 15 different colors.) The Locks of Love Logo uses the font "First Grader", so I asked Kathy to digitize the text for me (I did the little heart in Love). 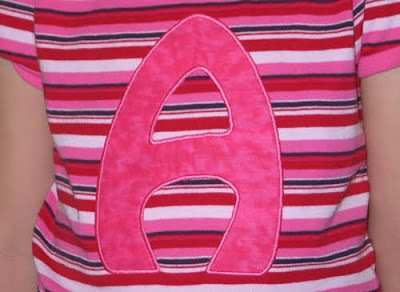 The "L" and "A" are from Embroidery Boutique's Vintage Applique Alphabet. I stitched their names with my newly acquired Itty Bitty Alphabet from 8 Claws and a Paw. I LOVE this alphabet, and imagine it will become one of my standards. It's much like Tinker Toy but with a touch of whimsy. I also stitched this burp cloth. 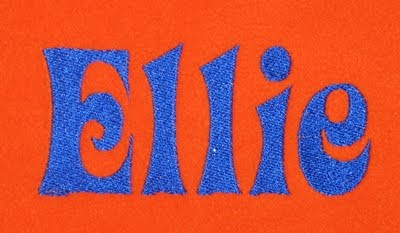 The lovely monogram is Empire font from Embroidery Arts. I've had this blank shirt for months. Had intentions of doing something for Valentine's day, but ran out of time. 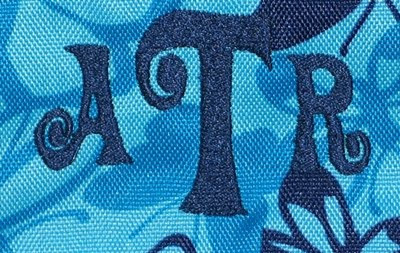 I just discovered last week that the trim on the shirt matched one of Annaliese's skirts perfectly, so I found fabric in my stash and quickly stitched an A on it. 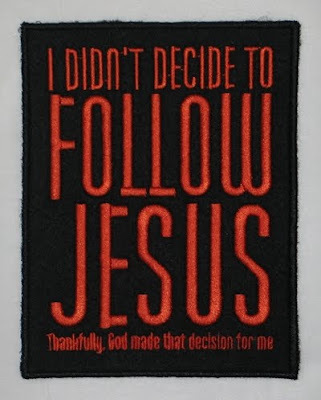 It's from Five Star Fonts' Hipster Applique Font. 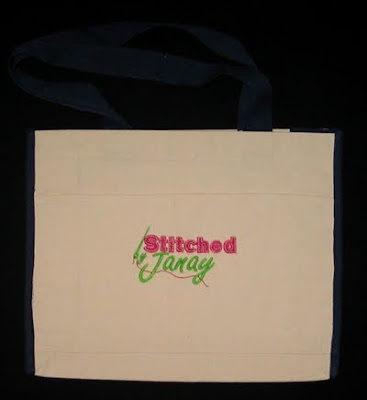 Ok, my MIL Kathy does lots of stitching for my family that I don't post here, since they aren't "Stitched by Janay". However, I received a surprise gift from her yesterday that I just have to show off here!! 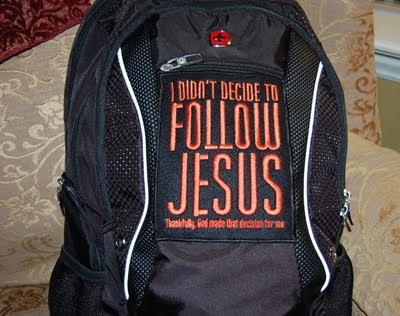 Yesterday I received this bag!! Isn't that awesome! And now I have the design file, so I can stitch it on whatever I want. Woo-hoo! THANK YOU KATHY! I don't know when I would have ever gotten around to digitizing it myself, and I'm confident it would be YEARS before I could do as good a job as Terri. The bag is already loaded with stuff I need to take on our afternoon outing! 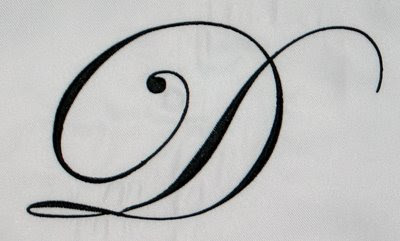 She requested the font Edwardian Script IT for the "D", which Kathy digitized for me as large as possible for my hoop. 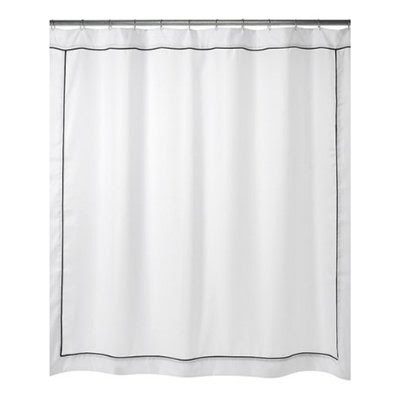 I stitched it right in the middle of the shower curtain. 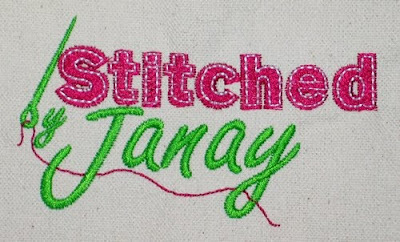 I stitched this in June, but never blogged about it. If I get a picture of the final product hanging in her bathroom, I'll add it later! 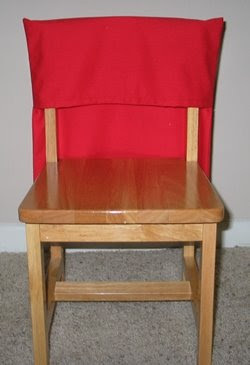 If you are a faithful blog reader, you surely know that I use alphabets from 8 Claws and a Paw on many of my projects. I submitted pictures of my items for their Project Showcase, and my name was drawn for the monthly subscription giveaway! WOO-HOO!! Take a look at all my options! 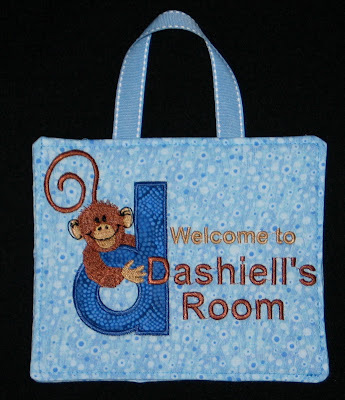 Right after Dashiell was born, I made mini wall hangings that spell out his name as a decoration for his room. The monkey/letter designs are from OregonPatchWorks. 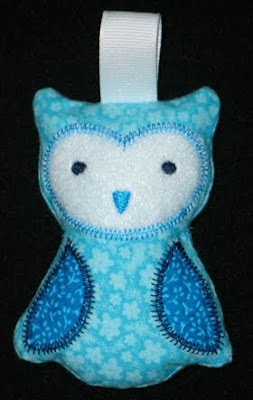 When I was finished, I submitted pictures for the Customer Projects Corner of their weekly Embroidery Newsletter. My project was immediately met with great enthusiasm! Jackie of OPW asked me to write directions for how I made the individual wall hangings, with pictures showing each step. Well, I was already done with all the letters of Dashiell's name, so I created another little wall hanging to use on his door. I used the same letter d design, but I deleted the duck and added the text instead (using Embird Alphabet #2). As I stitched it out, I took pictures of each step. I've waited all this time to post a picture of it (I wanted it to be a surprise to Kathy who also subscribes), but it was never mentioned in the weekly newsletter. I can only imagine how many amazing submissions they get each week!! However, the pdf that Carlin created for me is now available for download on the OPW Member's Only Club! 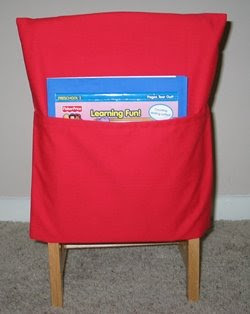 Miss Susie had chair packs in her classroom that, hmmmmm, let's just say they had seen better days. :) She asked if I could make her a new set. I took one of her old ones as a pattern and recreated it. 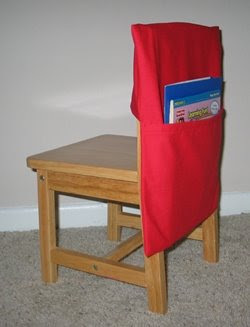 The chair pack is designed to hang over the back of a small chair and have a pocket to be filled with snack mat, journals, crayons, glue... whatever supplies each child has to use at the table. 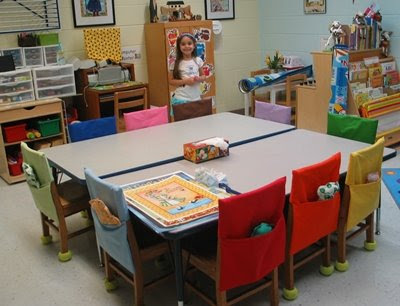 In the past Susie just had blue and red chair packs, so she had a "red table" and a "blue table". However, since each child is assigned a color for the year, we decided this time to make one of each color so it was obvious where each child was supposed to sit. Need to rearrange the seating assignments? Just switch chair packs! Sunday night before church Susie gave Annaliese and me a sneak peek at her new classroom. Very colorful, bright and cheerful! 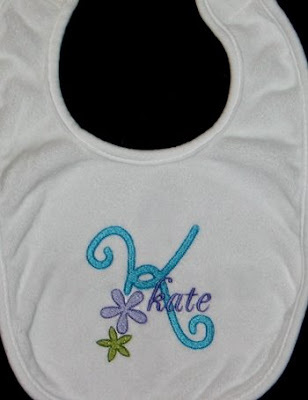 We used the same color scheme for the bib, but a different monogram. 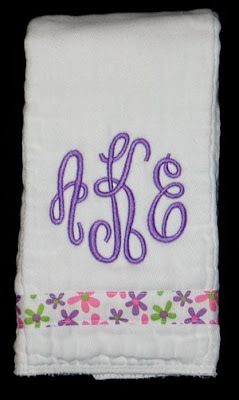 This one is the Flower Power monogram from Julia's Needle Design, with Embird Alphabet #38 stacked on top. 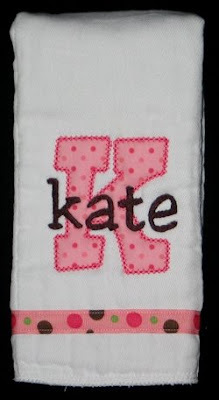 The "K" is from Embroidery Boutique's Fun Applique Alphabet, and "kate" is stitched with 8 Claws and a Paw's Jester Alphabet.